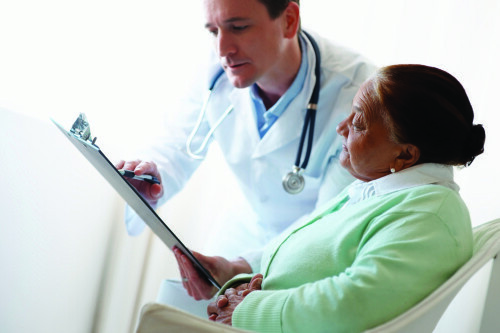 Communication is key to coping after diagnosis, treatment, or surgery for heart disease. Your local Mended Hearts chapter hosts regular support group meetings, where heart patients and families support one another. Chapters also regularly host meetings with health care professionals who can provide valuable information and answer questions. Accredited visitors, with the support of hospitals and clinics, serve heart patients by listening, sharing their experiences, and empathizing with their anxieties and concerns. Heart patients and families gain hope by meeting members who have survived heart disease and are now healthy. Get back on your feet after your heart diagnosis! When you get home, get online to get our help and support. Virtual visits via email with heart patients, caregivers, and families are available. Connect with an Internet visitor by emailing support@mendedhearts.org. We’re also a toll-free phone call away. Dial 1-888-HEART99 (1-888-423-7899) to speak to a representative who can answer questions, address any concerns you have, and connect you with a Mended Hearts chapter and fellow heart survivor in your area. We also have groups to support and encourage families of children with congenital heart disease or defects. Learn more at www.mendedlittlehearts.org. Join our 20,000-strong Mended Hearts member community! Learn more about heart disease, meet other members through local chapter meetings, volunteer, and receive special event invites. Your contribution also helps thousands of heart disease patients and families get support and encouragement on their way to heart health. Join us today.